Most Arizonans do not understand the nuanced differences between lawful and unlawful stops for good reason: life is too hectic for the average person to fully comprehend the idiosyncrasies of Arizona laws. Our Arizona DUI attorneys are here to explain the law in plain English, defend you against illegitimate charges and ultimately preserve your freedom as well as your finances. Let’s take a quick look at unlawful stops in Arizona. If the traffic stop in question violates your Fourth Amendment rights, it is unlawful. The Fourth Amendment details search and seizure laws. You have the right to be secure in your vehicle against unreasonable searches. It is illegal for a police officer to pull you over without probable cause. Furthermore, an agent of the state needs probable cause to search you or your vehicle. The bottom line is if you did nothing wrong while driving, you should not be pulled over. Arrests resulting from such illegal searches will not hold up in a court of law as long as you have a talented Arizona DUI attorney on your side. 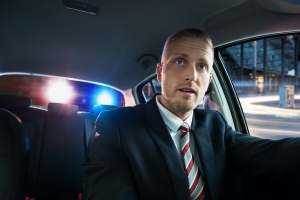 Police officers and other agents of the state cannot ask that you step out of your vehicle in order for a search to be conducted unless there is probable cause a law is being broken. Nor can a police officer perform a field sobriety test unless there is probable cause of illegal activity. However, it is possible for a police officer to force you to wait until drug-sniffing dogs are on the scene if there is probable cause there might be narcotics in your car. If you are pulled over by a police officer, he or she cannot force you to roll down your vehicle window all the way during the stop. Every Arizonan has the legal right to slightly lower the window as long as it is still possible to comply with the police officer’s request to examine your vehicle registration and driver’s license. Though an agent of the state can explain that refusing to take a field sobriety test can lead to an arrest, he or she cannot threaten Arizona drivers in order to persuade them to take such a test. It is important to note Arizona police officers cannot arrest drivers at traffic stops unless they fail one or several sobriety tests or simply refuse to take such tests. Are DUI/Sobriety Checkpoints Constitutional in the State of Arizona? It seems like DUI checkpoints are popping up left and right in our beautiful state as well as other parts of the country. Some are questioning whether these checkpoints are constitutional. Police officers are empowered to pull over a driver if that driver violates traffic or criminal laws. However, police officers can pull over all vehicles that pass through a sobriety checkpoint. Sobriety checkpoints are not constitutional unless they meet specific criteria. The checkpoint must be announced well ahead of the time at which it is established. The checkpoint must have law enforcement approval obtained through specific measures. Police officers working at the sobriety checkpoint must stop vehicles in a predetermined pattern. As an example, every fourth vehicle can be stopped as opposed to randomly stopping vehicles. If the supervising police officer(s) are not at the checkpoint from beginning to end, the checkpoint is unconstitutional. 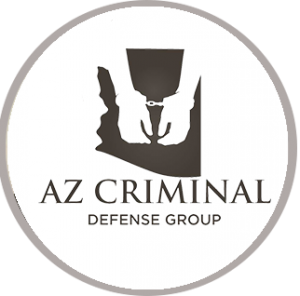 Click here for information on screening and DUI classes after a DUI conviction in Arizona.